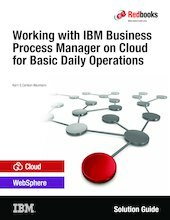 IBM® Business Process Manager on Cloud is an IBM subscription-based software as a service (SaaS) solution for IBM Business Process Manager (BPM) capabilities. BPM on Cloud provides secure and scalable operating environments that allow for development, testing, and execution of BPM projects. As a BPM on Cloud customer, you will work with the IBM BPM on Cloud team to achieve your goals. This IBM Redbooks® Solution Guide enhances your awareness that some common operational activities include responsibilities from you as well as from the IBM BPM on Cloud team. This guide focuses primarily on the activities surrounding the BPM on Cloud (Management) portal and service requests for product support.